According to a recent report by the Drug Enforcement Administration (DEA), 80% of states have legalized some form of medical marijuana, and 23 have broadly legalized marijuana use for medical purposes. Four of those states, along with the District of Columbia, have also legalized marijuana for recreational use. This is the will of the people coming to fruition, despite the overwhelming obstacles set in place by the very government meant to fight for that will. Children’s lives have been saved, cancers fought off, and more everyday are rescuing their lives from a debilitating illness due to the medical efficacy of cannabis. Yet, the opposition would have Americans see these grateful citizens as dangerous drug using criminals that are breaking the law. In the eyes of the anti-marijuana campaign, these stories of triumph over sickness are counted as a loss in the war on marijuana. There is no denying the influence this movement has had on the perception of cannabis and civil rights across the world. However, many still cling to lies that any rational minded person would have cast aside. The following are the top ten myths that a rational, open-minded and intelligent person should no longer believe; based on cold hard evidence and scientific discovery. Prescription Drugs – The most ridiculous hypocrisy is that of prescription drugs, which are resting comfortably in Schedules II, III and IV which allows them to be sold to the public by our very own government. According to the Journal of the American Medical Association, over 100,000 deaths are caused annually due to prescription drugs. The CDC states that prescription drugs are the fastest growing cause of death in this country, naming the issue an “Epidemic.” Two-hundred and ninety people in the United States are killed by prescription drugs every day. That’s one American death every 20 minutes and yet these drugs are actively given out to adults and youth alike. According to KVTX 19, In 2010 doctors prescribed enough painkillers to give a 45mg percocet and 24 5mg vicodins to every person in the United States. With such a rising death toll, one would think the FDA would reevaluate the dangers of overdose and addiction associated with these dangerous drugs, yet prescriptions continue to rise day-to-day. One of the longest standing myths about marijuana, that still continues to find its way into political debate, is the claim that the substance is highly addictive; thus explaining the Schedule I placement, or so the government would have the public believe. This is the most frequently cited perceived harm associated with marijuana today. Can marijuana be addictive, yes, but in order to understand addiction in relation to marijuana, one must first have an understanding of the psychology behind addiction in the first place. Marijuana can be addictive in the way that anything or any action can become an addiction, and that is psychologically. There have been some recent studies that show even that type of addiction is relatively rare, having a rate of only 9% of users who regularly use cannabis. This major distinction between a chemical and a psychological addiction is abused in a political fashion to manipulate the masses who do not understand the difference. One can become psychologically addicted to anything that is abused, but that does not make everything addictive, especially not enough to be added to the Controlled Substance Listing. A chemical addiction is one that produces the widely known physical effects of withdrawal. The body adapts to the drug, requiring more of it to achieve a certain effect (tolerance) and eliciting drug-specific physical symptoms if drug use is abruptly ceased. This is the form of addiction that the Controlled Substance List was created to impede. In comparison to physical addiction, psychological addiction occurs when a person does not have a physical need for a drug but rather a mental desire for it. There is a fundamental difference between the two that is widely disregarded when discussing the “addictive” properties of cannabis. In most cases one can be addicted to cannabis in the same fashion that one can be addicted to jogging. Obsession is not the same as addiction, especially when determining a possible restriction on that basis. The intention is not to diminish the very real effects of a psychological addiction, of which there are many, rather to demonstrate the game of misdirection used to maintain the placement of cannabis on a restrictive listing. There have been recent studies that show some minor withdrawal symptoms associated with long-term, everyday cannabis consumers suggesting a very small percentage of chronic users do develop a chemical, albeit minor, addiction. These symptoms were relatively mild, elevated pulse, irritability and headaches, when compared to even the lowest level opiate (Schedule II). It is important to understand that these were the only negative withdrawal symptoms from a lifetime of cannabis use. One could hardly consider this withdrawal, being less intrusive than a caffeine addiction. An everyday, long-term opiate user would have an extreme and possibly deadly withdrawal. To put that in perspective, cannabis is on the Schedule I Controlled Substance List, which is the home of the most highly “chemically addictive” drugs such as heroin, LSD and mescaline. Topping the Schedule II listing is Codeine, or opiates, which are indisputably the fastest rising addiction problem in the U.S. yet they are in a lower risk category than cannabis which has the lowest recorded addiction of all the drugs in any Schedule. One in four who use heroin will become chemically addicted. One in every three who smoke cigarettes will become chemically addicted, yet tobacco, which has a higher death and addiction rate than any of the controlled substance, is freely available. Even caffeine, one of the most commonly used drugs in this country, has a higher rate of addiction and withdrawal than that of the demonized enemy number one, marijuana. A new study suggests that one can feel serious withdrawal symptoms from abstaining from something as common place as junk food. According to a study published by Dr. Stephanie Fulton of the University of Montreal’s Faculty of Medicine a heavy consumer of fatty foods can feel symptoms like that of an addiction withdrawal, such as anxiety and depression, when beginning a diet. Based on the government’s usually broad understanding of addiction, and the logical association of the symptoms, junk food might be next in line to join the arbitrary Schedule I listing. Do not fret junk food lovers, there is far too high a profit and demand for this country’s beloved fast-food, for it to ever be restricted. There are a multitude of reasons one can become psychologically addicted to a substance or an action, yet one can not definitively label these as addictive or dangerous for the majority. Especially in the case of cannabis which contains so many valuable uses and byproducts. Cannabis can certainly have adverse effects on a person choosing to use the substance in excess, especially as a child with a developing brain, however all the facts make it quite obviously mis-represented in the current Schedule I listing. Is it potentially harmful in excessive circumstances? Like most things, absolutely. Is it highly addictive, definitively not. One of the newest concerns about marijuana that has been gaining attention in the media recently is the worry that its consumption causes schizophrenia. This serious affliction is a mental disorder that makes it hard to differentiate between what’s real and what’s not, think clearly or have normal emotional responses. This has become one of the last clinging defenses for marijuana prohibitionists, claiming that marijuana makes you literally go crazy. The idea that marijuana is the sole cause of this illness with no other factors involved is a claim made primarily by sensationalists and those who do not fully understand how the illness works. Inheriting genes from both parents is a legacy of issues and benefits that none can avoid. Scientists have long known that schizophrenia is inherited genetically. The illness naturally occurs in a small percentage of the general population with a predisposition for the disease. It has a higher rate of 10 percent occurrence in those who have a first-degree family member with the ailment, such as a parent, brother or sister. The risk is highest for an identical twin of a person with schizophrenia. He or she has a 40 to 65 percent chance of developing the disorder. After reviewing this common scientific knowledge, the reality of the true cause is clearly shown. It is genetically impossible for marijuana use to cause schizophrenia in a person that did not already have the inherit genes necessary to trigger the ailment. Which means that marijuana can not be the cause in and of itself. This by itself debunks the continually stated misunderstood theory that cannabis use alone causes schizophrenia. That being said, the secondary theory is that marijuana is simply the catalyst, causing the illness to trigger in those already predisposed, which is a plausible if not reasonable assumption. It is important to understand that there are many psychological and physical events that can trigger this disease. Being the catalyst or trigger of schizophrenia is not an implication of the dangers of that action or substance. This illness can be triggered by a serious car accident but that does not mean that driving should be made illegal. Heavy alcohol or tobacco use has been known to be a trigger as well as many others. Even serious emotional trauma can awaken the dormant gene. Whatever the catalyst, the gene itself is already present in a person who might one day suffer its effects and can not alone be attributed to any outside influence. The fact is that schizophrenia has a prevalence of about 1% the world around. If in fact cannabis was the direct cause or even the triggering component, there would be a corresponding rise in the occurrence of the illness along with the rise of cannabis use. Since the sixties, cannabis has rapidly increased in use and has seen a dramatic increase with the recently growing legalization movement. Yet the prevalence of the disease remains at 1%. This more so than any other graph, poll or statistic shows how the increase in marijuana use over the last fifty years has had literally zero effect on the country’s occurrence of schizophrenia. In other words, myth – debunked. For more than 5000 years cannabis had been effectively used in Traditional Chinese medicine (TCM). Cannabis is one of the 50 “fundamental” herbs of TCM, and is still prescribed today to treat a variety of symptoms. Up until the early 1900’s, cannabis and hemp were used in just about every aspect of American life, from fuel to rope, and most importantly, medicine. It was not until certain industries became threatened by cannabis that it was selfishly and unjustly branded as a dangerous substance. This is the most shockingly absurd, yet most commonly used myth stated by government officials when advocating marijuana’s prohibition. Despite the many compilations of valid studies conducted by respected institutions, that prove, not only the efficacy of medical marijuana but its ability to cure cancer, the government continues to look the other way. In 1999 The Food and Drug Administration stated that “no sound scientific studies” supported the medical use of marijuana, which contradicted the recent findings submitted by a panel of highly regarded scientists. Researchers have been attempting to speak out about this topic for over a decade yet the government simply chooses to ignore their findings. When citizens protest that cannabis should be allowed, at least in a medical capacity, the public is told that not enough research has been done. It is a game of misdirection that has been perfected by the government for over 70 years, however, the people are beginning to see through the facade, to the cover up behind it. With one in every four americans expected to die of cancer this year (the newest numbers are now closer to 1 in every 2), it is more important now than ever before, that the miraculous healing properties of cannabis be made available to the many in desperate need. Even if cannabis did not hold the answer to what a desperate father needs for a dying child, what right does anyone have to tell a man he cannot do whatever is within his power to attempt to save his children. It becomes obvious that there are hidden motives when the government holds a patent for use of the very medicine for which thousands have been incarcerated. Yet the government still openly denies that marijuana has any medical value. How can government officials have a patent for the medical use of cannabis, yet turn around and prosecute a mother like Angela Brown, who is using the plant in the manner in which the government patent acknowledges as legitimate? Her only crime was actually curing her son with a substance medically patented by her accusers. There are numerous accounts of American citizens publicly announcing that cannabis cured a family member of cancer, as well as many other ailments. Adam Koessler is currently facing criminal charges, and was denied visitation of his two-year old daughter, for using NON-psychoactive CBD oil in an attempt to cure her of cancer, after he was told modern medicine could do no more. The family saw immediate and dramatic improvements until the government stepped in and discontinued the treatment, charging the father with possession and administering a dangerous drug to a minor. Her cancer went into remission with the small amount of CBD that was used, and now, can’t be found anywhere else in her body. Imagine what could have been done with continued treatment. One of the longest standing marijuana myths is that of the “gateway theory.” This is the theory that marijuana is considered a “gateway drug” which means its use will lead users, unintentionally and irrevocably, into the clutches of harder drugs. The reality is that this theory has been, time and again, disproved by just about every legitimate study conducted on the topic. It would seem that this concept is only alive today, due to its relentless revitalization by those intent on continuing marijuana prohibition. Yet, many continue to be swayed by its proclaimer’s continued focus on the only valid point in the argument: the correlation between marijuana use and harder drug use later in life. Research is beginning to suggest that focusing on marijuana as the key to preventing future drug abuse is like “closing the doors after the horses have already left the barn.” Marijuana use among adolescents appears to be a symptom of problem behavior, not a cause. People make their choices day-to-day based on a combination of reaction, desire and necessity. It is becoming clear that the usual precursor of potential drug use in adolescence is in fact instability, stress and violence in their life. These, along with alcohol and cigarettes, have been shown to be the true “gateway” into future illicit drug use. However, the idea that any one interaction can set a person on an irreversible path of drug abuse, may be possible, but a little far-fetched. It is interesting how the correlation between alcohol or cigarettes, and illicit drug use, is a much higher number than that of marijuana. Alcohol and cigarettes can cause much more damage to the body, yet it is marijuana that takes the focus, ask yourself why that is. Seventy one percent of illicit drug users smoke cigarettes and 17.6 million people, or one in every 12, suffer from alcohol abuse or dependence. Alcohol is the most commonly used addictive substance in the U.S. The idea of a “gateway theory” in and of itself is a concept with little factual stability that refuses to die, lingering from the days of “Reefer Madness” and sensationalist claims when there was no internet to quickly dispel them. It is a way for people to place the blame of their poor decisions onto a substance that cannot answer back. To place the guilt on the evil plant that “made them do it.” Despite the years of factual evidence disproving the idea of this theory, government officials continue to make claims to the evils of the “gateway” drug, marijuana. These myths will only dissipate if the public educates themselves and chooses to speak out against the unfounded claims. One can hope, that as more studies draw attention to the archaic and misguided ideas once held about this plant, that the truth will find its way into the minds of even the most dedicated anti-marijuana crusaders. One more myth: debunked. From the original Jeff Spicoli to everyone’s favorite burger seeking duo Harold and Kumar, the idea of the lazy and forgetful marijuana smoker is a stereotype that has been embraced by cannabis culture and prohibitionists alike. One would be hard pressed to find a recreational cannabis smoker that hadn’t experienced some level of forgetfulness associated with marijuana. That being said, it is important to understand the reality behind this comical image of absent-mindedness. Of all the stigmas associated with cannabis consumption, the idea of memory loss has the least amount of long-term studies. On that basis alone one must consider the possibility that the entire discussion could change as future studies come into light. Until that time all one has to go on is the research that has been done to date. To fully understand the effects of any substance on one’s memory, it is important to understand how one’s memory works. Everyone has three different forms of memory, which are: long-term memory, short-term memory and working memory. This is quite an over simplification of the incredibly intricate workings of the human brain but works for the purposes of this discussion. Long-term memory is a vast store of knowledge and a record of prior events that each person builds throughout their lives. Short-term memory is the brain’s ability to recall ideas and information that pertain to a current situations that have yet to be formed into long-term memories. Working memory is not completely distinct from short-term. It is used to plan and carry out behavior. One relies on working memory to retain the partial results while solving an arithmetic problem without paper. A study following nearly 2000 young Australian adults for eight years found that marijuana has little long-term effect on learning and memory, and any cognitive damage that does occur as a result of cannabis use is reversible. Participants were aged 20-24 at the start of the study, which was part of a larger project on community health. Researchers categorized them as light, heavy, former or non-users of cannabis based on their answers to questions about marijuana habits. As with any substance, using marijuana in excess can cause side effects. However minimal, one who chooses to be under the influence of marijuana twenty-four hours a day will experience some loss in cognitive function. Comparatively, one who chooses to be under the influence of alcohol twenty-four hours a day will most likely shorten their life substantially and have quite a bit more than a loss of brain function. A study conducted by Harvard Medical School shows that even this type of excessive marijuana use and consequent perceived harm is completely reversible. If and when one chooses to discontinue the excessive use, the brain function will return to normal. This in itself disproves years of marijuana propaganda. All one must do is take a break, and all negative memory associated effects are reversed, assuming there are any in the first place. Published in a March issue of Addiction Biology, a team of Dutch scientists found no changes in the working memory abilities of heavy cannabis users who were monitored for three years. The study “adds to the literature showing that regular cannabis use may not necessarily impair brain functioning,” explains lead author Janna Cousijn, PhD, a researcher at the University of Amsterdam’s Department of Developmental Psychology. Working memory plays a key role in learning. Dr. Cousijn and her colleagues conducted the study on 49 young adults, 22 who were considered heavy cannabis users and consumed marijuana five days a week on average. This study shows that cannabis does not impair problem solving or deductive logic using working memory. However, recent articles have been circulating that claim contradictory findings. There have been many articles recently released showing a new study proclaiming that marijuana causes irreversible damage to one’s memory and brain function. What is consistently skipped over in many of these articles is the fact that this study was conducted on adolescent use. Use of any substance, be it alcohol, tobacco, or even caffeine can have lasting effects on a developing brain, so it becomes quite irrelevant to make the focus on the effects of marijuana versus any other recreational substance. A vast majority of those shown to have negative effects attributed to long-term marijuana use, have a substantial correlation to those who started at a young age. Therefore the majority of those effects can be attributed to the use of a mind altering substance with a developing brain, whether it be cannabis or any other. The truth of this topic, clouded by years of misinformation, can be hard to decipher. Relying solely on science and the conclusive information that the studies conducted have produced, it becomes quite clear that the idea of the classic stoner that can barely function due to marijuana use, is vastly overstated. One’s short-term memory can be affected while under the influence, but no real lasting cognitive side-effects are associated with marijuana, outside the category of adolescent use of any impairing substance. It is becoming clear that many of the most ingrained stigmas associated with this plant are exaggerated, if not completely made up. This myth has elements of truth to it, but overall, the idea that marijuana will leave you a mindless and dysfunctional human being is busted. MYTH #7 – THERE ARE OVER 400 CHEMICALS IN MARIJUANA – TRUE! The perception of cannabis as an evil and utterly useless drug began, as most things do, because of money and a potential loss of profit. Since the moment hemp was seen as a threat to the wrong men’s pocket books, every American has had a fabricated perception of cannabis forced into their daily lives to insure industries like timber, oil, synthetic fabrics and pharmaceuticals never have to compete with a vastly superior product. The fantastically inaccurate slander campaign being waged on this plant has not only hurt the image of cannabis and its potential industry, but stopped the age of innovation this country had been riding and sent Americans into an age of complacency and self-delusion. One of the many statements that are commonly used to continue this campaign of false information is that cannabis contains hundreds of chemicals, as if implying, or rather letting the public assume, that those chemicals are inherently unsafe. This is a tactic often used by those attempting to lead the public astray; it is designed to make the average citizen believe that any item with that many chemicals must be unsafe for human use, when the reality is that roasted coffee contains over 1500 chemicals. Only 21 of those chemicals have actually been tested on animals and 16 of these cause cancer in rodents. Yet, coffee remains legal and is generally considered safe. This is an outright dishonest attempt to confuse the public; to state a fact, knowing that Americans do not have all the information, that will lead the people to believe the only reason the government would give the information is because it is unsafe, when in fact many safe and commonly used items have just as many chemicals. This misleading statistic is often used to make marijuana look dangerous. Cigarettes contain over 4000 chemicals while rat poison contains only 30. One can easily see how this information can be misleading. The “entourage effect” is the term for how the different chemicals in cannabis work together to create astounding healing and regenerative effects when taken unadulterated. 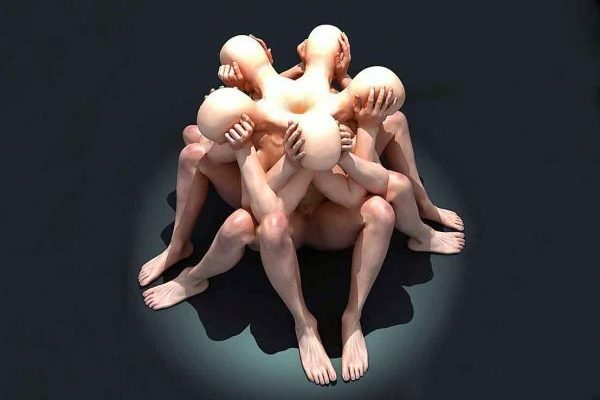 The compounds have a very unique way of working in unison to aid the human body. When one individual chemical is taken out, as with Marinol, this “entourage effect” is lost. The human body is made with a naturally occurring endocannabinoid system that is designed to utilize the many different cannabinoids within cannabis collectively. This entourage effect and its multitude of healing possibilities has been stripped away from the public for so long that this country has seen the resulting digression of American’s overall health. It is becoming painfully clear to most that this plant has been, and continues to be, the focus of a massive propaganda campaign. Yet there are many who still have yet to see the falsity of the anti-marijuana age, or hold on to the naive belief that the government has only the people’s best interest in mind. Either way, this myth is actually true, but is the product of manipulation and is being used to confuse the average citizen into believing that “evil chemicals” in this demonized plant will jump out of one’s closet at night and eat your children, or something just as ridiculously untrue. All one can do is stay vigilant and continue to spread the truth. This battle is being won, yet the war has only just begun. Of all the misinformation continuing to circulate around the issue of marijuana legalization, this myth is by far the most absurdly incorrect. The most unsettling aspect of these myths is not that they exist, rather that those still proclaiming them as truth are acutely aware of their falsity. This is also called blatantly lying. How can any American truly trust their elected officials after a campaign as massive, deceitful and all-encompassing as this country’s 80 year war on marijuana? When one who is meant to embody the essence of the democratic process claims that not enough studies have been done involving cannabis, yet the proof is easily accessible, what is one to think? Children are dying, cancer patients are withering away, and those charged with the people’s well being are lying about the cure to protect their profits. It can be quite hard for many to accept the fact that they have been lied to by the very leaders in which Americans are meant to put their faith. These men may very well have had reasons they felt were justified, or acted out of some misguided intention of protection. One can understand that action if not condone it. However, in this stage of the debate, all the pertinent information is up front and center, and for anyone to claim that the data is not there, is outright laughable. Cannabis has had a longer history of safe and effective use as a therapeutic agent than virtually any comparable substance. Cannabis based textiles have been identified in northern China dating back to 7000 B.C and the recognition and use of the plant’s medicinal abilities date back almost as far. Cannabis has been used in this country as an all-purpose fabric, oil, paper and medicine until the early to mid nineteen hundreds when it began to compete with the leading industries that were primarily run by the country’s ruling families. The general acceptance and use of this plant in American history does not scientifically prove it to be safe, but does show that the continued use over the last 500 years hasn’t had the devastating effects that today’s government would have the people believe will break out across the country when the plant is legalized. The scientific studies came after the illegalization of the plant, and some of them date farther back than many realize. Despite the claims of politicians, marijuana is one of the most studied biologically active substances of modern times. A search on PubMed, the repository for all peer-reviewed scientific papers, using the term “marijuana” will produce nearly 20,000 scientific papers referencing the plant. Nearly half of these studies have been published just within the past decade. There can be no doubt that officials are aware of these studies, especially when marijuana has become such a politically charged issue. By comparison, a keyword search using the term “Tylenol” yields 17,370 published papers. A keyword search using the term “ibuprofen” yields 10,500 published paper. A keyword search using the term “Ritalin” yields 7,012 published papers, and a keyword search using the term “hydrocodone” yields only 630 published papers. indications (37%) were approved on the basis of a single trial.” Drugs that stand to increase profit for the pharmaceutical industry are fast-tracked into public use, apparently whether or not the drug is adequately tested, and even if it takes a few lives during the evaluation process. The FDA recently approved a new super-Vicodin type drug called Zohydro. This drug contains up to five times the amount of hydrocodone and does not have time-release protection, so it can be easily crushed up and snorted or injected by those who would abuse it. This drug was approved after only one twelve-week trial in which five of the people involved died as a result. Yet cannabis, which has been widely used in all facets of American life for centuries (until the last hundred years) with zero deaths, is dangerous and unlawful in the eyes of the Feds. This is the very definition of hypocrisy. Numerous medical and health organizations – such as the American Nurses Association, the American Public Health Association, and the Epilepsy Foundation of America – support allowing qualified patients to legally access to cannabis therapy. According to survey data released this year by WebMD/Medscape, nearly 70 percent of doctors, including over 80 percent of oncologists and hematologists, acknowledge the therapeutic qualities of cannabis. 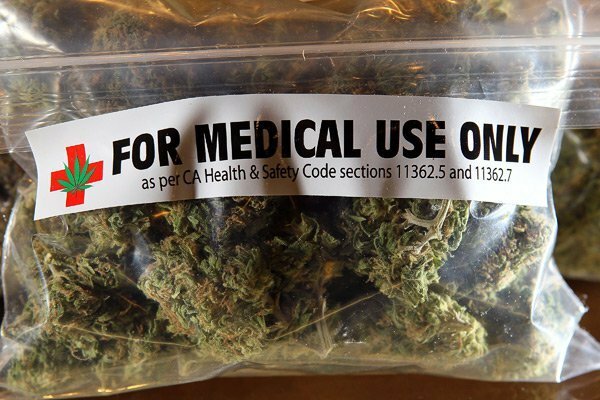 More than 50 percent of doctors agree that it should be a legal option for patients and 76 percent of doctors would recommend cannabis to their patients despite it being Federally illegal. There can be no doubt that this myth is indeed false. The question each American must ask themselves is why does the government continue to lie when the truth is so clearly documented? What do they stand to gain? What in American culture is so sought after that it would cause the leaders of this country to stand before the nation and intentionally dismantle the perception of the most versatile, medically and industrially useful plant the world has ever known? It’s the same answer to all the whys behind every political deception: Money. Americans pride themselves on the simple freedom of one’s right to choose. Yet in today’s America, this seems a slowly dissolving right as the government continues to increase the number of things they deem illegal; for one’s own safety of course. The Last American Vagabond wholeheartedly fights for the right of each individual to do whatever one deems necessary to one’s own body, whether that be smoking marijuana or drinking something proven as deadly as alcohol. However, that is only one small part of what defines the Marijuana Movement and its goals. The idea that plants as useful and medically valuable as hemp and marijuana are not only illegal but regarded as the most dangerous of all drugs, is laughably absurd. Americans are awakening to the sad truth that they have been intentionally lied to for a generation about a plant that could have saved the lives of many, in order to protect the investments of a few. A point has been reached in this country where it seems as if the will of the people is no longer what decides the course and creation of law, but rather the needs and desires of whatever cooperation spends the most money, which by definition would make the U.S. no longer a democracy. Those behind the movement are using the platform of cannabis legalization to stage a national intervention in regards to the people’s rightful place as the governing body of this nation. If the leaders of this country can tell the American people that they know what is best, despite the overwhelming agreement on the issue of legalization, then this country has truly forgotten itself. Those in power want the public to believe that cannabis remains illegal not because it stands to replace the vast amount of the fuel and pharmaceutical industries, which a majority of the top one percent of this country are invested in, but because it’s dangerous, despite the overwhelming amount of evidence to the contrary. The right of each individual to consume whatever substance they desire in the privacy of their own home is certainly a part of this debate. Yet the true fight is centered on whether the true governing body of this country remains a small percentage of wealthy men (ones that represent the smallest demographic of Americans) or We the People of the United States of America, the decision is yours. The War on Drugs began as corrupt as it is currently today; a war with no possible end that promotes profiteering on the backs of those who desperately need the help of the very men profiting on their demise. This “war” was declared on all drugs, yet one in particular had caught the attention of some prominent American families and businessmen due to its ability to render their products obsolete. Marijuana’s versatility in the medical and industrial field played a major role in the creation of this policy. 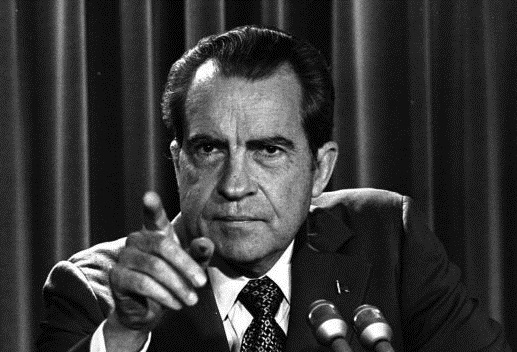 Whether or not the Nixon administration fully understood what they were creating with this declaration, there can be no doubt that the group had a clear understanding of the policy’s political and societal ramifications and what that would mean for current and future politicians in the United States. By effectively criminalizing addiction, addicts became potential profit in the eyes of the system. Once you make it profitable to incarcerate people; once you give people a profit motive to put others in prison, you change the fundamental process of the justice system into a process of profit and loss. These are people’s lives, and shouldn’t be a company’s bottom line. This dynamic incentivizes those in charge to incarcerate or maintain incarceration, whether or not it’s justified, solely to maintain profitability. These prisons have a contract to maintain 80% capacity at a minimum, crime could go down and it wouldn’t matter, their quota must be met. In California since 1980, 20 prisons were built, 14,000 prison guards were hired and 5000 teachers were fired.Prisons have become a billion dollar industry that are largely fueled by this nation’s fight against marijuana. Americans have begun awakening to the massive collusion that surrounds the legality of this plant. This corruption has bled into every aspect of government that deals with marijuana for the sole purpose of maintaining its schedule I status, at all costs. The group that stands to perceivably lose the most with the legalization of marijuana would be the pharmaceutical industry. One would think that the discovery of a new ground-breaking medicine that heals just about everything would be exactly what those in the business of medicine would want. Unfortunately, Big Pharma got out of the curing business a long time ago. All of its efforts have gone into creating a perpetual cycle of treatment, because there is no money in curing. The Nation obtained a confidential financial disclosure from the Partnership for Drug-Free Kids showing that the group’s largest donors include Purdue Pharma, the manufacturer of OxyContin, and Abbott Laboratories, maker of the opioid Vicodin. CADCA also counts Purdue Pharma as a major supporter, as well as Alkermes, the maker of a powerful and extremely controversial new painkiller called Zohydro. The drug, which was released to the public in March, has sparked a nationwide protest, since Zohydro is reportedly ten times stronger than OxyContin. Janssen Pharmaceutical, a Johnson & Johnson subsidiary that produces the painkiller Nucynta, and Pfizer, which manufactures several opioid products, are also CADCA sponsors. With primary financial backing that stand to lose billions, it is clear where the motivation comes from. There are many who undoubtedly believe wholeheartedly that marijuana is the worst substance on the planet. This most definitely derives from the 70 year smear campaign designed to instill just that type of fear. It is unfortunate that many have yet to see the light in regards to marijuana’s curing properties; even more so unfortunate that those very same individuals are being manipulated into fighting a war for an elite group with no one’s interest in mind except their own. Driven by a desire for accuracy, chef and alternative news stalwart Ryan Cristián has a passion for the Truth. As founder and Editor-in-chief of The Last American Vagabond, he understands that Americans want their news to be transparent, devoid of the opulence frothed out by today’s Corporate Media. A cultured and insightful man with a worldly sense, Ryan’s unjaded approach offers common sense to the individual racked by the ambiguous news cycle – a vicious and manipulative merry-go-round that keeps trenchant minds at a manageable distance from the truth. Avid writer and editor by day, Truth seeker by night, Ryan’s reality defines what it means to be current.